This is the logo for our reunion shirts. It is only available in Yellow Gold because they are screen printed plastisol heat transfers that have already been made. Click on photo to view in window. Click on photo to view in window. 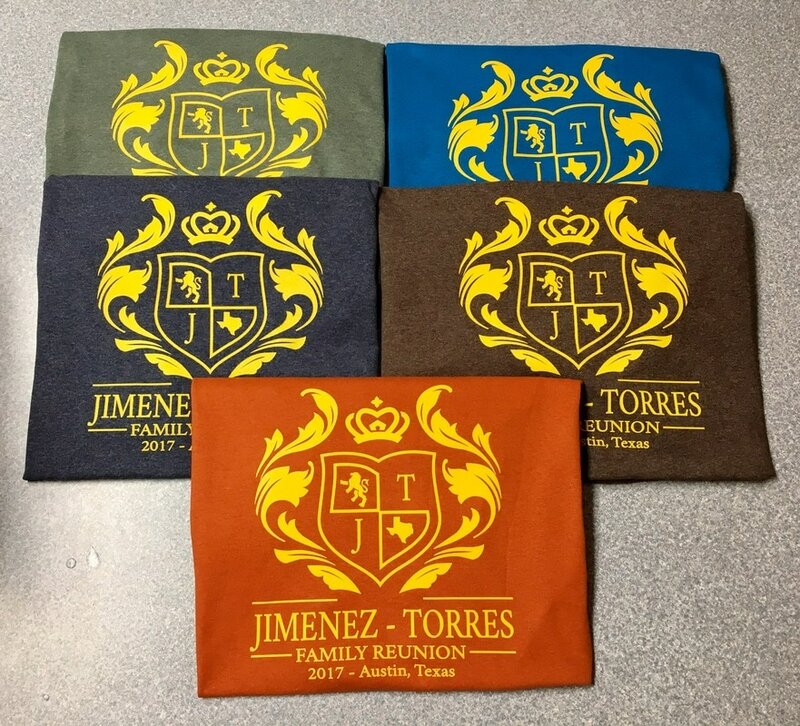 ​All orders must be pre-paid and will be handed out at the reunion to save on shipping costs. 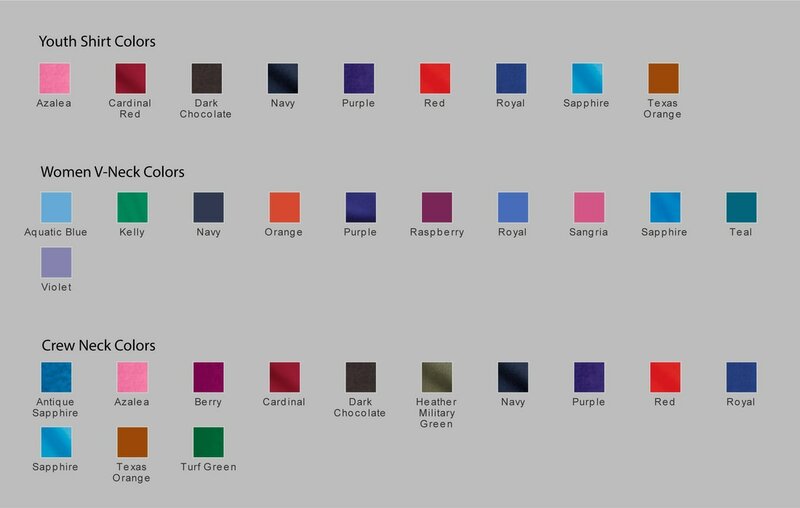 These are the colors available in each style. Please know that colors can appear a little different on the website. Click on photo to view in window. A name can be added to the back of your shirt in the font and color shown above for $3.00 additional per shirt. Click on photo to view in window.